The “African Spring” seems ready to spread to the Democratic Republic of the Congo after there are visible signs that the US is stoking its “deep state” civil war in order create obstacles to China’s hitherto unrestricted access to cobalt there, with the possible success of this non-kinetic “containment” measure having the chance to dramatically turn the tables in the “tech arms race” and potentially be a game-changer in the New Cold War. I wrote about this “power swap” two weeks ago in my analysis of the decade-long “African Spring” that’s resulted in slightly less than a dozen non-electoral regime changes all across the continent, with the Congo being one of the most prominent examples of a so-called “deep state” coup driving the latest developments there. Recalling that article, it’s now possible in light of recent events to wonder whether the country is beginning to proceed along the lines of the Angolan model where a similar leadership change surprisingly saw the state’s new leader stunningly turning against the very same “deep state” structure that brought him to power in an attempt to clean out the “old guard” and replace them with his own loyalists instead. The reason for this educated conjecture is because Tshisekedi unexpectedly blocked the inauguration of newly elected senators from his coalition ally Kabila’s FCC on the basis that they were corruptly elected. He also postponed gubernatorial elections for a later date that has yet to be determined, which altogether suggests that Tshisekedi is turning against his patron and trying to gain control of the political structures that Kabila’s party dominates in order to liberate his presidency from their controlling influence. Interestingly, the US also imposed sanctions against some election officials both a month ago and also around this exact same time in what South Africa’s “Daily Maverick” interpreted as an American effort to help tilt the scales to his “deep state” favor. The article explains the seemingly contradictory approach of the US recognizing Tshisekedi’s controversial rise to power while sanctioning some of the same officials who presided over it by pointing out that this could put pressure on Kabila by drawing into question his party’s parliamentary victories during that same poll. Delaying the gubernatorial elections could also be a preplanned ploy to prevent the FCC from consolidating its control over the public political wing of the “deep state” and hamstringing Tshisekedi’s chances of having an independent domestic and foreign policy. Due to these dynamics, it’s not an exaggeration to state that the Congo is in the opening throes of a “deep state” civil war that’s being stoked by the US. America’s interest in Congo’s “deep state” affairs directly derives from its desire to “contain” China in the geostrategic Heart of Africa from where the People’s Republic obtains practically all of its cobalt, a rare earth mineral that’s indispensable to all manner of modern-day electronics from gadgets to missiles. “Mining Technology”, one of the industry’s leading websites, reported last summer that “Chinese production accounted for 58% of global refined cobalt output in 2017, and 98% was imported, mostly from the DRC”, which caused them to wonder whether the People’s Republic is trying to “monopolise” the resource that the world’s future technological development is dependent on, especially in the forthcoming 5G revolution that will change life as the world knows it by heralding the era of the “Internet of Things” and autonomous vehicles, among other developments. The outcome of the “tech arms race”, as I called it back in February, will largely determine the contours of the New Cold War for decades to come, and considering that cobalt is the key resource driving this competition and that most of the world’s supply of this mineral is located in the Congo, the Central African state becomes disproportionately significant to contemporary International Relations. It should therefore be seen as no coincidence that Tshisekedi will visit the US next week as he seeks America’s continued support in trying to liberate himself from Kabila’s Chinese-aligned “deep state” that was responsible for China’s meteoric rise in the global cobalt industry over the past decade. The US is especially concerned with China’s “cobalt cartel” there and presumably regards it as a strategic threat of the highest importance. Tshisekedi’s trip will see him receive orders from his new foreign patrons about the most effective way to proceed with the Congo’s “deep state” civil war, which will probably include some elements from the successful Hybrid War on Brazil. The internationally recognized President is in a position to launch corruption investigations against the Kabila-allied FCC members of the “deep state” on the basis of disputed elections which could eventually uncover “evidence” (whether real, fabricated, or misportrayed) of Chinese-connected corruption through the country’s own version of “Operation Car Wash”. 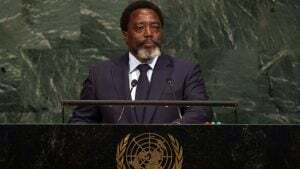 This could in turn serve as the pretext for transferring ownership of certain mines to Western companies so long as Tshisekedi is also successful in replacing the pro-Chinese military-intelligence factions of Kabila’s “deep state” with pro-American ones who wouldn’t resist this scenario. The abovementioned strategy is much easier said than done because it’ll be extraordinarily difficult for Tshisekedi to fully liberate himself from Kabila’s FCC and their “deep state” allies, let alone replace them with compliant pro-American ones who will go ahead with his plans to “contain’ China through the described scenario. As such, it shouldn’t be expected that significant progress on this front will take place anytime soon, nor that it’ll even be entirely successful in any case. Rather, it’s important to keep in mind the end game that the US is aiming to achieve and to forecast the most likely methods that it’ll try to employ in pursuit thereof. Although it’s tricky to toy with and could lead to serious blowback, it’s likely that some of the country’s Hybrid War variables might be instrumentalized to this effect. To explain, I conducted a comprehensive Hybrid War risk analysis on the Congo nearly three years ago in which I detailed the many factors at play in this plot. 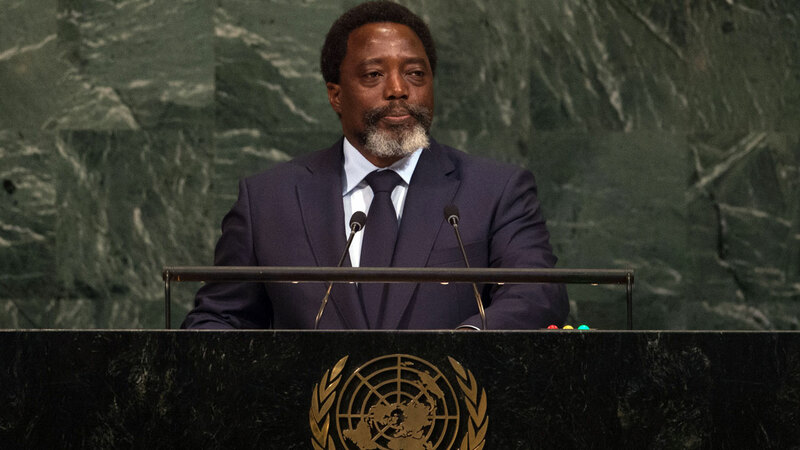 Since then, Pandora’s Box was progressively opened as the US sought to put bottom-up pressure on Kabila to hold elections in which he wouldn’t change the constitution to run for a third term like many had speculated he would try to do in the run-up to the vote. Nowadays there’s no need to encourage these Hybrid War elements to dangerously bring the state to the brink of collapse since the main goal of facilitating a “phased leadership transition” (however “imperfect”) has been accomplished. Furthermore, another Congo Crisis might jeopardize the world’s access to cobalt and inadvertently harm American industries and those of its allies even if it also deals damage to China’s, too. Nevertheless, Pandora’s Box was still opened and some uncontrollable forces were released that could be taken advantage of by the US in the context of the Congo’s “deep state” civil war. Kabila’s loyalists are mostly concentrated in the military-intelligence wing of the “deep state”, which is naturally its most influential, but they could be “picked off” one-by-one through the weaponization of selective sanctions against them in response to the Mainstream Media’s reporting about any alleged “crimes” that they commit in quelling sporadic Hybrid War disturbances across the country. That could in turn pressure them to either step down and/or trigger their replacement by Tshisekedi, thereby allowing him to gradually dismantle Kabila’s “deep state”. It’s expected that there’ll be some serious institutional opposition to these moves, but the President will surely rely on his American ally to “advise” him on what to do when the time comes. All of the previously described analysis deals with the most likely behind-the-scenes talks that Tshisekedi will have during his upcoming trip to the US, but it should also be said that there’ll probably be some very positive public optics pertaining to this as well. The US understands that it needs to step up its game in the struggle to “win hearts and minds” in the “Global South”, and especially in Africa where China’s Belt & Road Initiative (BRI) investments over the past decade have given Beijing an enormous soft power boost in the continent. Seeing as how the Congo is now smack dab in the center of the New Cold War given the enduring strategic importance of its globally significant cobalt deposits, it makes sense that the US will try to expand its influence there through the mechanisms suggested in the “Global Fragility Act’s” draft legislation irrespective of whether the document is ever promulgated into law. Not only could the US give preferential trade privileges to the Congo and possibly tax incentives to American businesses to invest there, but it could also almost immediately begin dispatching more USAID and other “NGO” representatives in order to accelerate the spread of its influence throughout the country under Tshisekedi. The important point to focus on is that the US will probably try to make its newfound influence both visible and tangible in a way that benefits the majority of the country’s people and therefore increases their support of Tshisekedi during this sensitive moment in the Congo’s “deep state” civil war. If they come to conclude that he’s channeling Fayulu’s anti-systemic vision by going against Kabila’s “deep state” simultaneously with improving their livelihoods, then it could lead to the cultivation of genuine grassroots support for him that might take the form of street rallies and other peaceful manifestations if the “Establishment” starts vigorously pushing back against him. Faced with the prospect of the US making significant soft power gains in the near future (especially if it joins forces in this socio-developmental respect with its “Scramble for Africa” allies of the UAE, India, Japan, and France), China will need to do more than just provide low-paying and dangerous extraction jobs to the Congolese if it hopes to retain their support under any scenario. It’s already helping to fund and construct various infrastructure projects in the country, but that might not be enough to viably compete with its rivals under these new conditions, ergo why it would do well to unveil what I previously coined as “BRI-Aid” in order to bring tangible USAID-like development to the country’s people in ways that they could directly benefit from the most. It’s admirable that China “thinks big”, but its comparative “neglect” of the “smaller things” might prove to be its Achilles’ heel if it doesn’t deal with this shortcoming soon enough. 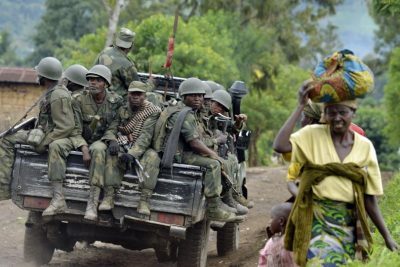 The New Cold War might be over before the world knows it if the US gets its way and is successful with its latest high-stakes strategic gambit in the Congo. Kabila’s pro-Chinese “deep state” is being challenged by Tshisekedi and his American patrons, with the end goal seeming to be for the US to create the domestic political conditions by which the President can “plausibly” restrict China’s previously unhindered access to cobalt in the country (granted during Kabila’s rule) and therefore turn the tables in the “tech arms race” to the US’ favor. The consequences of this clandestine operation’s possible success could alter the course of global geopolitics this century, but the game is only getting started and its outcome is still far from certain.